In the days following the assassination of President John F Kennedy, Jackie Kennedy fights to define and protect her husband’s legacy... and her own. The life of Jacqueline Kennedy has been covered in countless books, magazine articles, television shows and films. She has been portrayed by many actresses from Jaclyn Smith to Sarah Michelle Gellar, from Joanne Whalley to Katie Holmes. What more could possibly be said about America’s most iconic First Lady? Remarkably, Pablo Larrain's film finds a fresh approach to Jackie's story. Forgoing traditional bio-pic territory, the director narrows his focus to the days before and days after JFK’s assassination - bearing witness to Jackie's strength, determination and humanity. Larrain’s choice of a 1.66:1 (square) aspect ration feels authentic to the era and also allows for the seamless addition of historic footage. Much of the film is shot in close-up and this, combined with Mica Levy’s powerful score (an insistent, off kilter soundtrack of grief), creates a gripping and intense atmosphere. Such a piercing cinematic gaze calls for a pitch perfect portrayal. Portman more than rises to the challenge - she is utterly mesmerising in this role. We know that this is performance, the role calls for self awareness. However, it is just as easy to lose sight of Portman and only have eyes for Jackie. Meanwhile. an impressive supporting cast - including Peter Sarsgaard as Bobby Kennedy, Billy Crudup as the journalist tasked with interviewing Jackie after JFK's funeral, John Hurt as her priest and Greta Gerwig as Nancy Tuckerman, Jackie’s confident - play their parts well and then wisely step aside to give Portman room to shine. 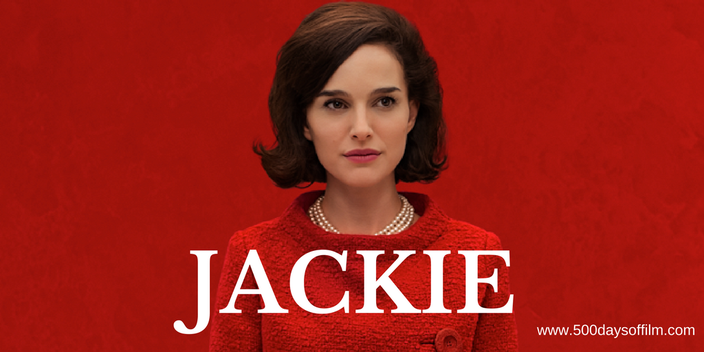 Thanks to Larrain's storytelling and the depth and nuance that Portman brings to her role, we see Jackie’s strength and her weakness, her dignity and her torment, her sacrifice and her selfishness. Thus, in a snapshot of time, we understand the complex person behind the flawless icon - one that will never be forgotten. If you have, what did you think about this film? Let me know in the comments section below!